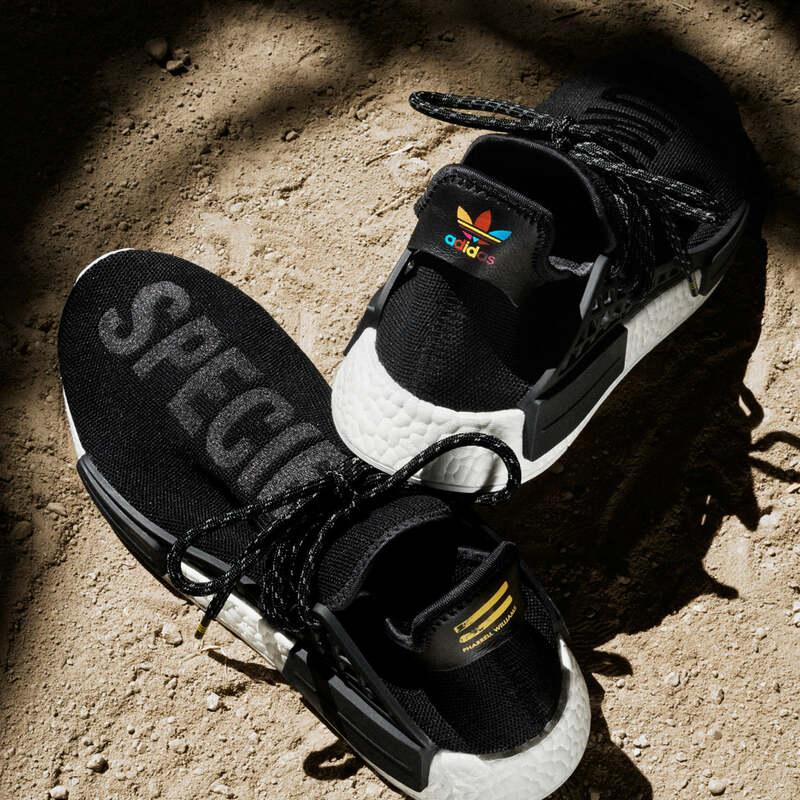 Designed for urban exploration without boundaries, the NMD fuses iconic adidas Originals DNA with breakthrough technology from today. 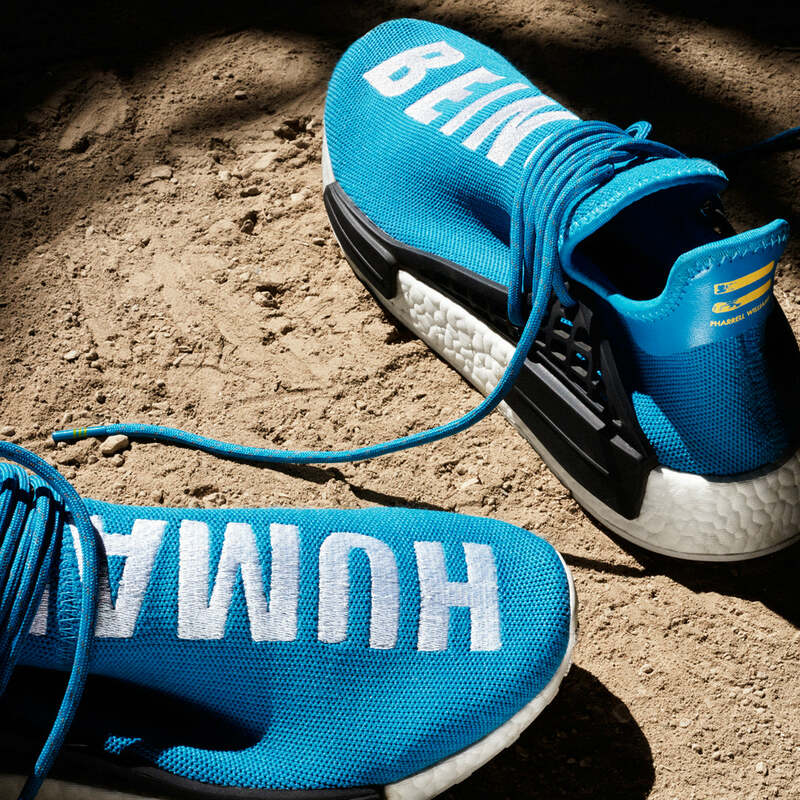 For Pharrell Williams’ Hu NMD, an energy-returning white boost midsole meets a breathable and flexible Primeknit upper in yellow featuring a split ‘Human Race’ graphic resulting in a bold visual language. 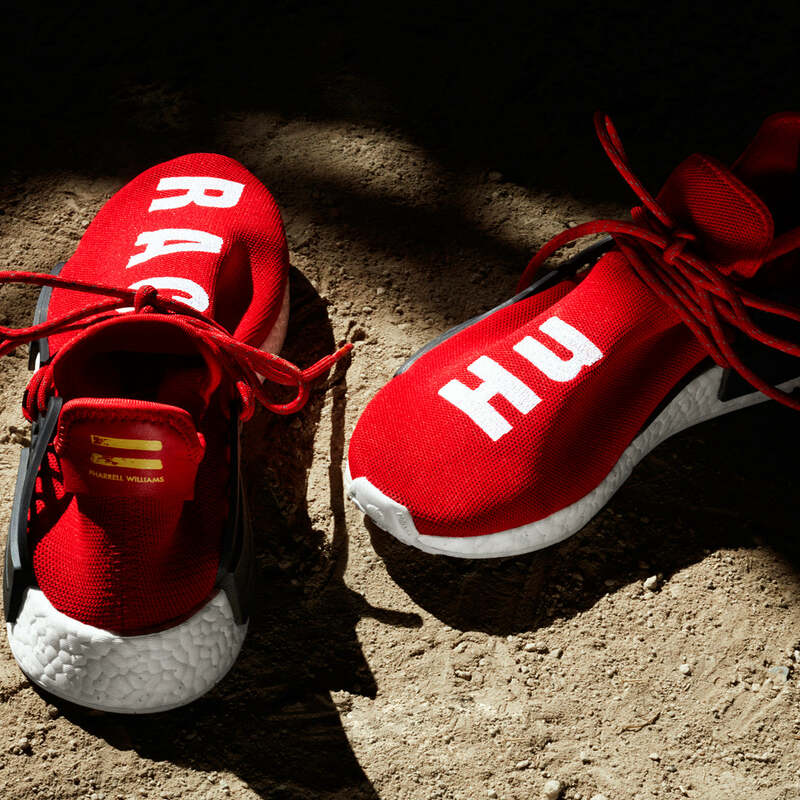 The model features a newly designed lace system, which goes through the cage of the stabilizer to create a moccasin type of feel, giving support as well as freedom right where it is needed. 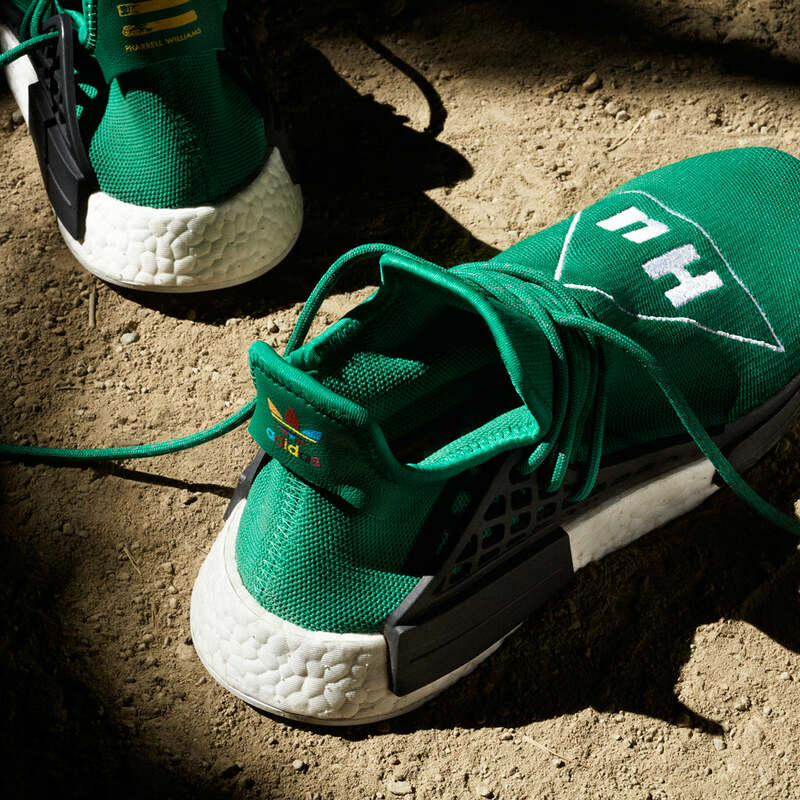 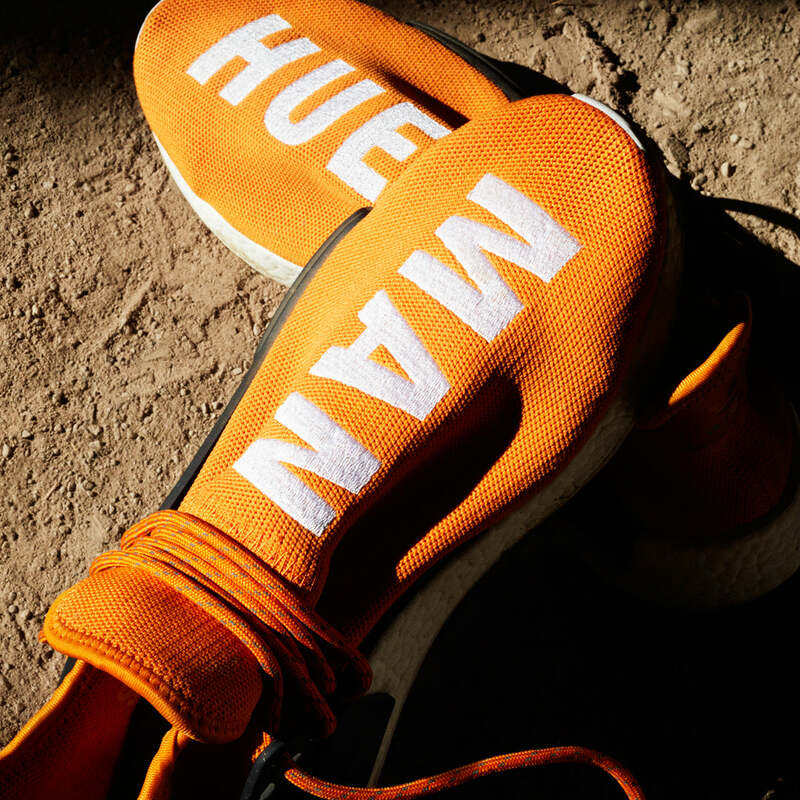 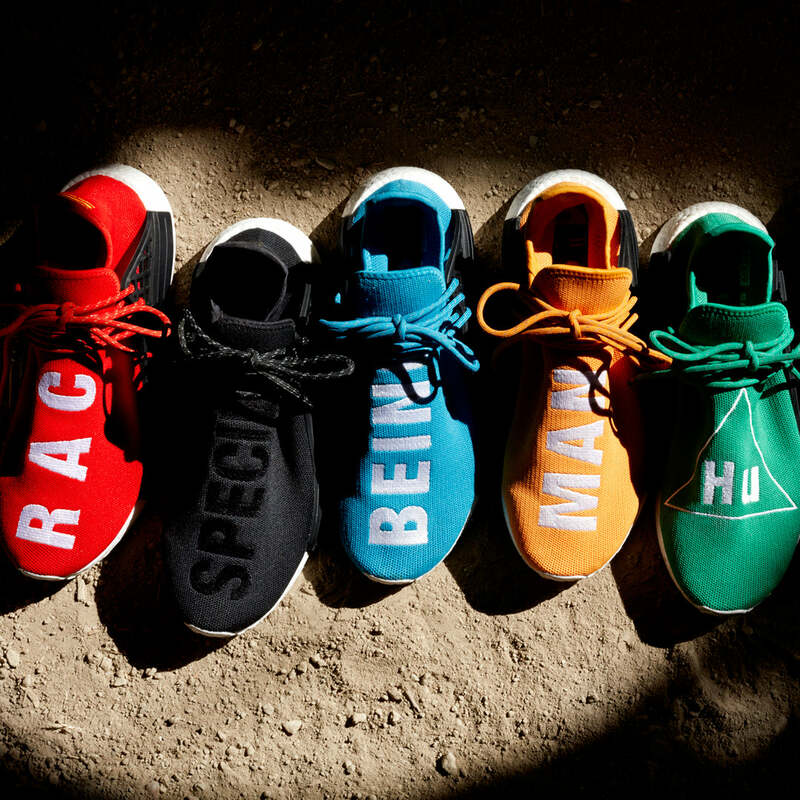 The result is a fearless updated shape for Pharrell Williams’ Hu NMD.